Learning about autistic type tendencies can help parents recognize the signs of autism in children. Certain developmental delays in communication and social behaviors may indicate autism. Find out how to recognize autistic tendencies. Autism is a complex neurological disorder that affects the development of language, communication and social skills. The American Psychiatric Association defines autism as one of five pervasive development disorders (PDDs) in the Diagnostic Statistical Manual, Fourth Edition (DSM IV-TR). The other four PDDs are Asperger's syndrome, childhood disintegrative disorder, Rett's syndrome and pervasive developmental disorder not otherwise specified. Some experts also classify autism with the other PDDs as autism spectrum disorder. People with autism generally experience significant impairments in speech, language and social interaction. People with high functioning autism can pursue successful careers and healthy relationships with the right therapy and treatment plan. Other people with severe autism may require full-time care for a lifetime. Even in severe cases, the right treatment plan can help affected people live a fulfilling life with dignity. People with autism often have trouble understanding verbal speech and expressing themselves verbally. Autistic children often have developmental delays in language and grow up to develop limited or no speech skills. They may use gestures such as pointing instead of speech. High functioning autistic people may have a large vocabulary. However, those who do have a large vocabulary will have usually have trouble participating in two-way conversation. Affected people also have trouble following verbal directions and may ignore others speaking directly to them. Some therapies incorporate pictures, such as the Picture Exchange Communication System (PECS), because people with autism respond well to visual communication. Autism generally makes it difficult for people to express themselves. Many times, certain autism characteristics such as tantrums, inappropriate laughter or humming are simply a way of communicating anger, frustration, excitement or happiness. People with autism often prefer to be alone and show little interest in social interaction. In early childhood, autistic children either show no interest in playing with peers or have trouble playing well with others. Many autistic people have difficulty correctly interpreting the emotions of others. This leads to inappropriate responses such as laughing during a sad occasion. Some people with autism get upset if anyone touches them in any way. They may not like to be hugged by anyone, including parents. Others may want to be held excessively. Obsessive behaviors are key aspects of autism. Obsessive behavior includes fixating on objects or activities for hours. Typically, autistic obsessive behavior involves fixating on an unusual object such as a belt or a piece of floor tile for hours. Examples of obsessive activities include spinning objects or lining up objects for hours. Repetitive behavior or stimming is another common autistic symptom. Repetitive behavior is a form of self-stimulus. Common repetitive behavior includes hand flapping, rocking back and forth, spinning, licking objects or finger flicking. Some repetitive behaviors are potentially self-harming such as head banging or biting lips. Autistic type tendencies also include sensory processing issues. Sensory processing problems may involve sensitivity to certain sights, sounds or tastes. For example, oversensitivity to loud sounds may cause an autistic person to cover her ears and scream when she hears a siren. Some people also seem to have a lack of sensitivity to injury and do not react when they hurt themselves. This is often the case if an autistic person engages in a harmful self stimulating behavior such as head banging. If parents suspect that a child may have autism, it is important to contact a doctor for an autism screening test as soon as possible. Early intervention provides the best prognosis for a healthy and productive life. Current medical treatments have improved the lives of many people with autism. Autism research for better treatments is ongoing. With early intervention and the right treatment plan, people with autism can lead happy and productive lives. The condition should not be viewed as a barrier between parent and child. 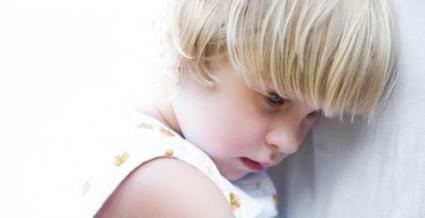 The autistic child is still the same precious child that existed before symptoms appeared. He can still achieve the things parents want most for children - happiness and a fulfilling life. As the parents participate in autism treatments, they will learn how to relate to their child and connect with him. Parents will also find that their autistic child can teach them to see the world through a different perspective with a unique beauty.